Acquired in 2006 from the Sharp Family, this unique property represents 430 acres of the natural heritage and wide open landscapes that once dominated southern New Castle County. Situated at the confluence of the Appoquinimink River and Drawyers Creek, the Sharp Farm exhibits features of the Piedmont and Coastal Plains regions of Delaware with its steep bluffs, uplands forests, and low-lying tidal marsh. 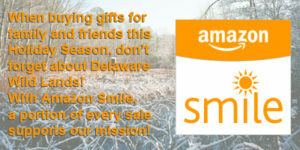 Delaware Wild Lands is a non-profit conservation organization dedicated to protecting Delaware’s most important natural areas through the purchase and management of strategic parcels of land. Currently, we own and manage 21,000 acres of vibrant wetlands and wildlife habitat, and healthy farms and forests throughout Delaware. More than 6,000 of those acres are protected right here in southern New Castle County. The Sharp Farm provides valuable habitat for many species of wildlife including Cooper’s Hawk, American Black Duck, Little Blue Heron, Hairy Woodpecker, Red Fox, Wild Turkey, White-tailed Deer, and many more. 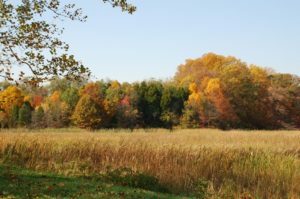 Another special feature of the property is the rare Chestnut Oak-Hairgrass community which is a Habitat of Conservation Concern in Delaware. Delaware Wild Lands is working to further protect wildlife habitat at the Sharp Farm by expanding native hardwood forests, planting native trees and shrubs, and restoring early successional habitat.